PLANT PORTULACA OLERACEA (Beautiful at 11). Greetings world of Steemit. Here I come to review a very interesting anecdote that has happened in my daily life. In my house located in Maracaibo, Zulia, Venezuela has a backyard which is very fertile for the sowing of flowers or plants. In my daily visit to the back of my house, there was something that caught my attention a kind of grass in the surrounding land that sometimes had small flowers and other times they were not. In innocence, I thought it was about an animal that fed on these flowers. With curiosity in mind I asked my father about the success of the plant, and he told me that it was called or said colloquially in some Latin countries as beautiful at 11. This flower coincidentally almost from 11am starts to bloom and It is stored about 3 hours later. The truth is something incredible and extremely curious. 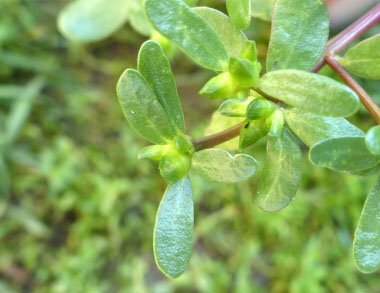 Also called PORTULACA OLERACEA is a cosmopolitan plant. It has antioxidant and anti-inflammatory properties with applications in chronic human diseases, such as diabetes and hypertension. It is also used as a food and has been attributed nutraceutical properties with high omega-3 contents. The foregoing indicates that P. oleracea represents a local resource for human consumption or for the enrichment of livestock products with omega-3. In the tropics, particularly in Campeche, Mexico, it is found in family lots (backyards) so that its properties could be disseminated to help its consumption or, where appropriate, to explore the possibility of enriching eggs of hens of backyard systems with Omega-3 essential oils. Congratulations @derm10! You have received a personal award!